The boys caught some trout and flounder! My afternoon trip had Colby, Witt, Brian and Andy with 7 trout and 5 flounder! Posted in Fishing Charter Pictures	| Comments Off on The boys caught some trout and flounder! Jeff and Lisa do it Again! Jeff and Lisa with some fine St Joe Bay trout! Posted in Fishing Charter Pictures	| Comments Off on Jeff and Lisa do it Again! Danny and Chad’s Speckled Trout! A couple of decent trout Danny and Chad caught this morning! Posted in Fishing Charter Pictures	| Comments Off on Danny and Chad’s Speckled Trout! Big Speckled Trout on St Joe Bay! Jo, Wiinnie, Brian and Wibb were back with me again this year and although the bite was slow we managed 4 big speckled trout between 24 and 26 inches and 8 other keepers!! Posted in Fishing Charter Pictures	| Comments Off on Big Speckled Trout on St Joe Bay! Pam and Steve on St Joe Bay! Pam and Steve from Nashville, caught some nice trout today along with a few flounder and spanish mackeral on St Joe Bay! Posted in Fishing Charter Pictures	| Comments Off on Pam and Steve on St Joe Bay! Another Inshore Slam out of Cape San Blas! Fishing couldn’t get much better than this! What a day; redfish, flounder and trout!! The Inshore Slam out of Cape San Blas! Thank you to the Tenold family for a fun trip! 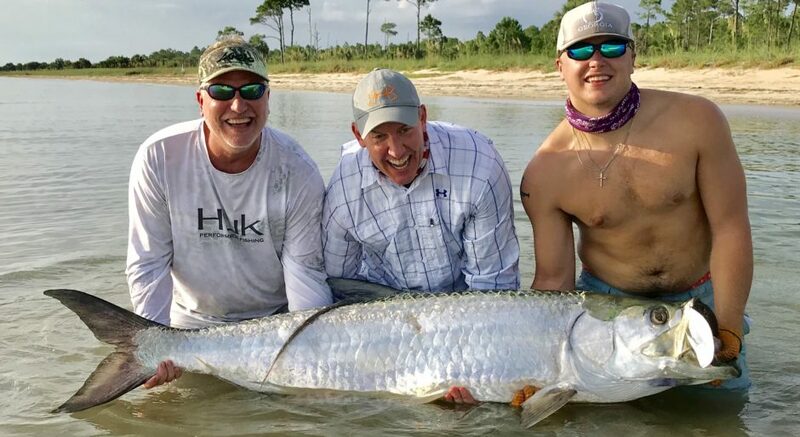 Posted in Fishing Charter Pictures	| Comments Off on Another Inshore Slam out of Cape San Blas! Inshore Slam on St Joe Bay for Joe! Joe, from Tennessee, got the St Joe Bay Inshore Slam today! We caught 7 redfish, 2 flounder, a nice jack crevalle, and 20 or more speckled trout!! Posted in Fishing Charter Pictures	| Comments Off on Inshore Slam on St Joe Bay for Joe! Rob and Jaime Crushed the Trout and Redfish on St Joe Bay! Rob and Jaime Crushed the Trout and Redfish on St Joe Bay! Got our limit of speckled trout and redfish!! Posted in Fishing Charter Pictures	| Comments Off on Rob and Jaime Crushed the Trout and Redfish on St Joe Bay!